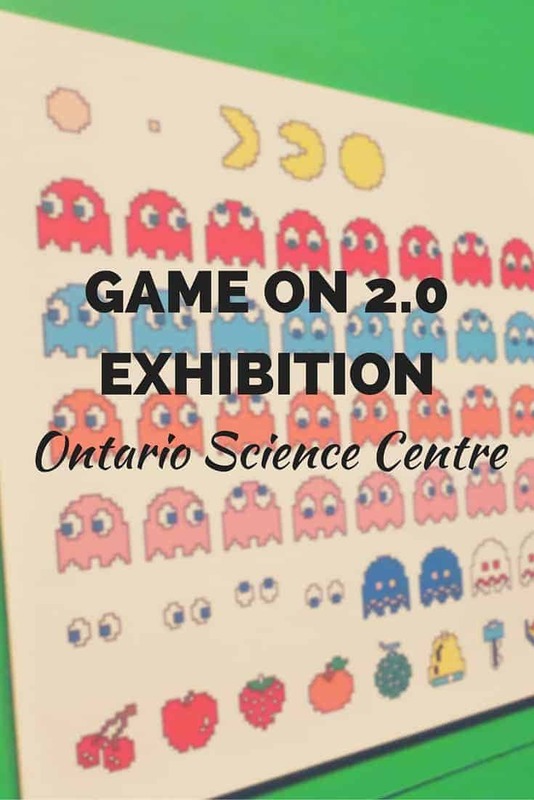 We visited the Ontario Science Centre in Toronto specifically to see the Game On 2.0 exhibition there. We both are huge fans of retro video games, so playing an assortment of classic and rare systems and games was right up our alley. Also, neither of us had been back to the Science Centre since we were kids. This great museum is practically in our own backyard (it’s right near where we commute on a daily basis) so there really was no excuse but to check it out. 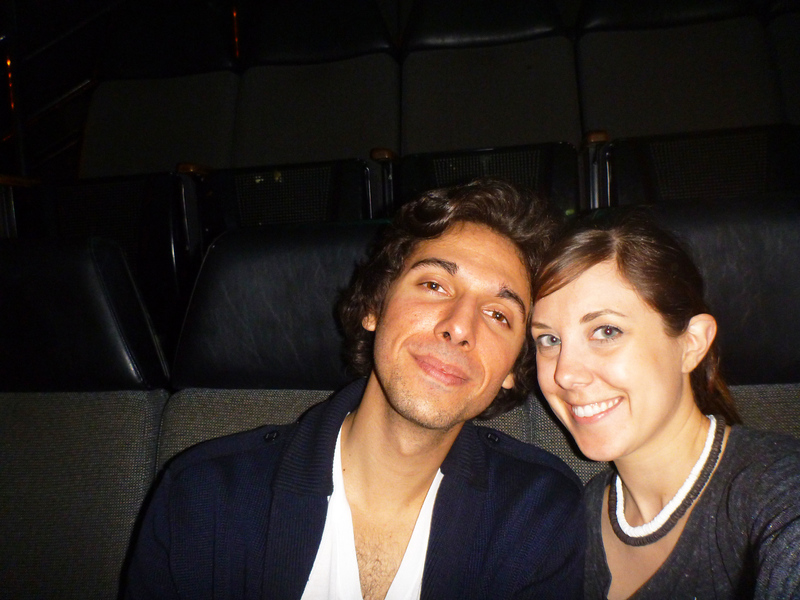 And I am so glad that we did as we had such a fantastic time! 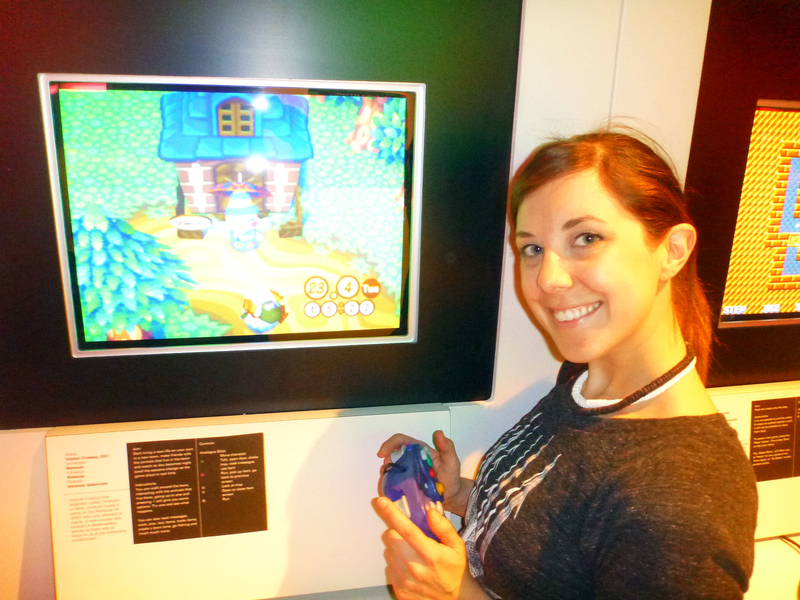 Have you ever visited a video game exhibit? 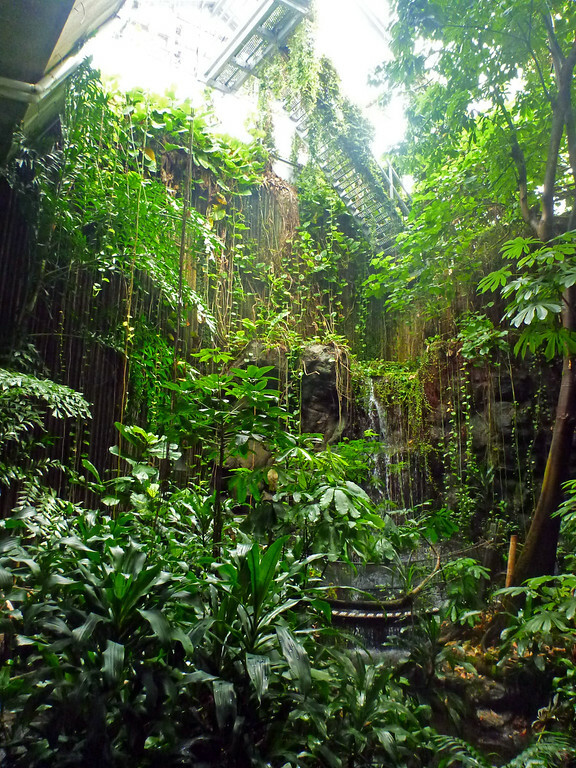 The exhibit was on the lowest level of the building at the back. It was very easy to navigate our way there using the museum maps. 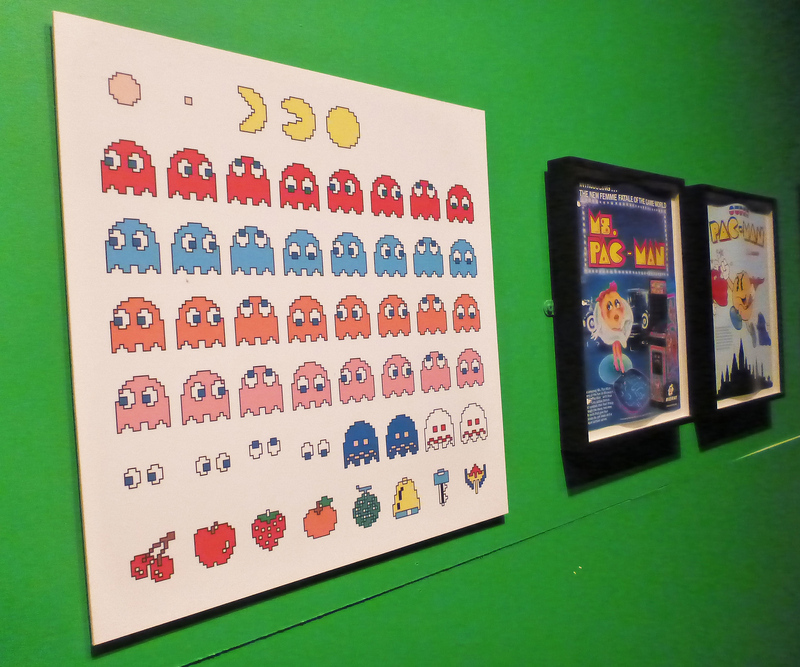 The giant murals and pictures of Mario, Sonic, and Space Invaders certainly grabbed our attentions. We knew we were in the right place. 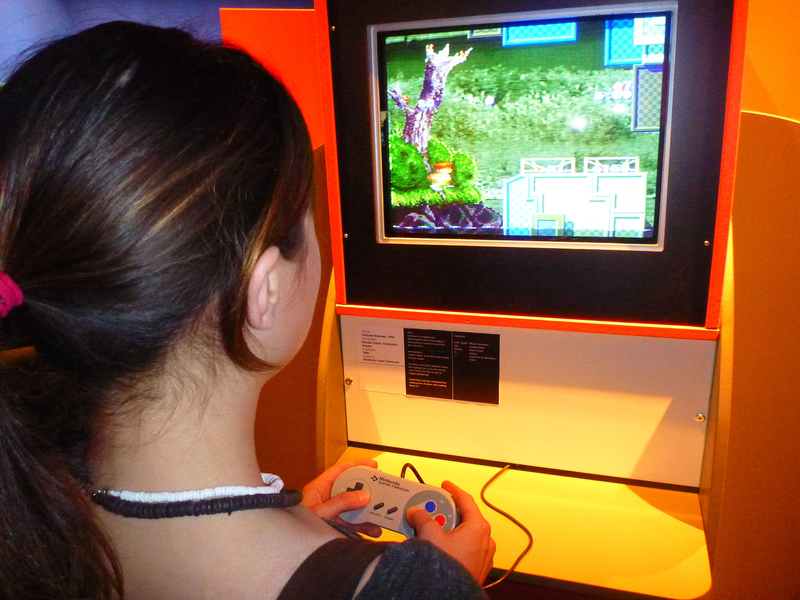 Even on a weekday afternoon, the place was crawling with kids on school trips and video game-enthusiasts like ourselves. I would hate to see what it would be like on a weekend. If you’d like to have the opportunity to play all of the games without waiting too long, I would suggest going on a weekday. A complete history of video games was well represented here. There were tons of early systems. 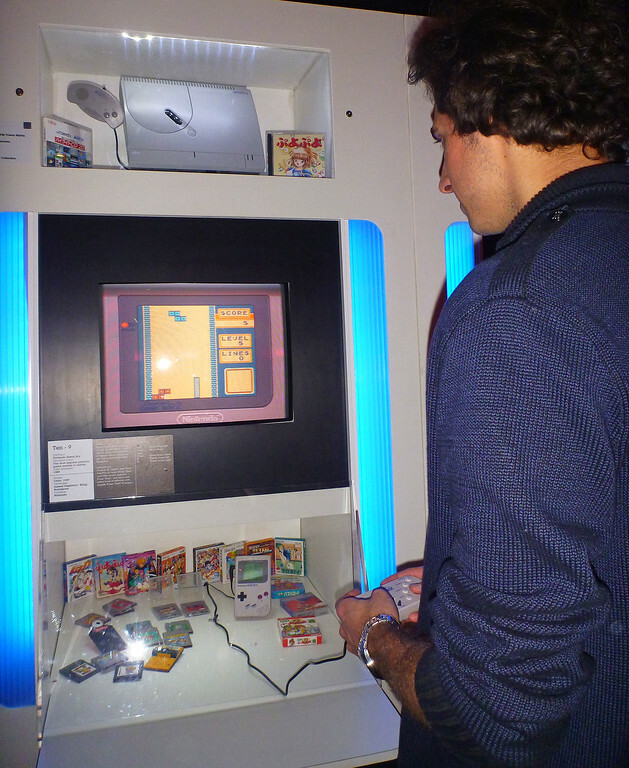 It was a rare opportunity to play games on some of the first home consoles. We have definitely come a long way from those times. It was wonderful to follow the progression of this technology through the decades. Of course, we couldn’t resist playing some of our classic favorites, including Tetris for Nintendo Gameboy and Animal Crossing for Nintendo Game Cube. One game that we both really enjoyed playing was Umihara Kawase, a platform game on Super Famicom in Japan. I’d never heard of this game before, most likely because it is only available to play in Japan. 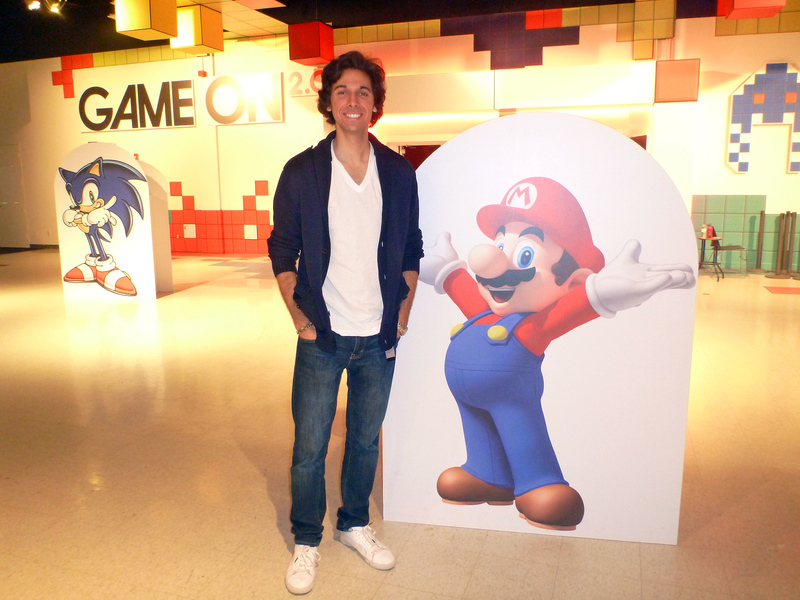 Essentially, you have to leap along platforms in the levels and you encounter enemies that are mostly fish. You can swing around on the platforms using your fishing rod, and you are also able to capture enemies this way, too. After looking this game up online after our trip, I discovered that a new version of the game might be released in North America for the Nintendo 3DS. 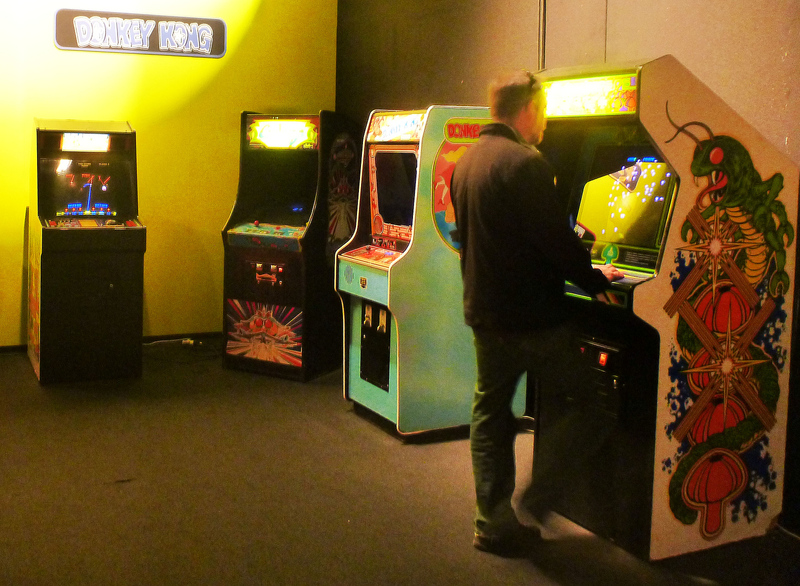 After walking through several rooms of various video games, systems, and memorabilia, we reached another room filled with classic arcade machines. I love playing arcade games and I quickly gravitated over to the Mappy game. 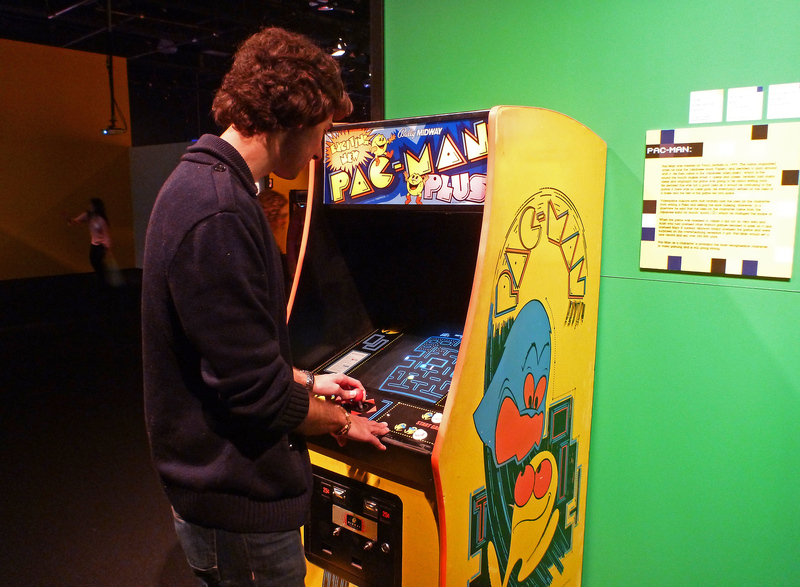 Justin played some Pac-man, as well as some of the other games there. 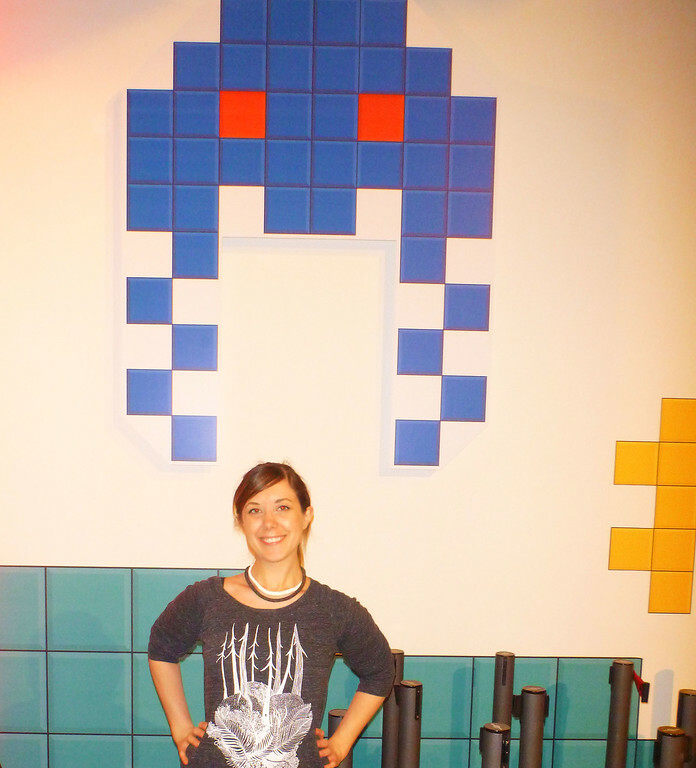 The Pac-man pixel art on the wall was also quite cool! 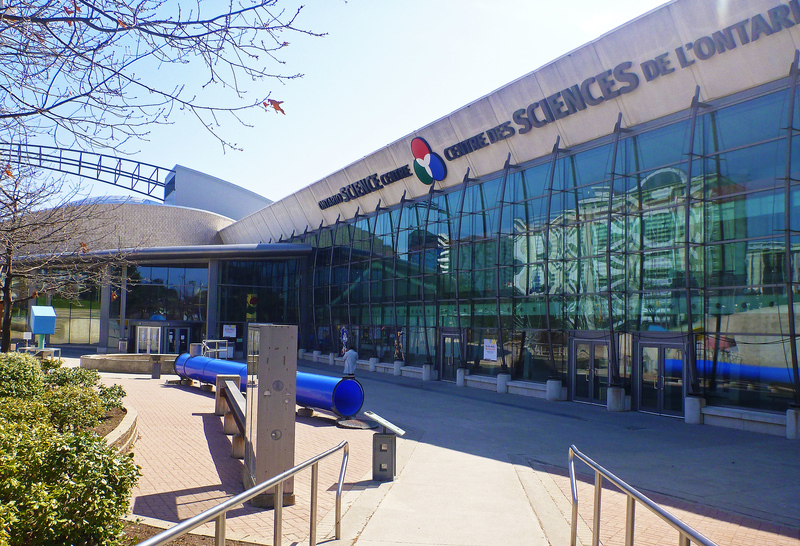 Our visit to the Science Centre wasn’t just to see the Game On Exhibit. We visited other areas of the museum, such as the Space area (one of my personal faves), the Innovation section, and the Electricity area. 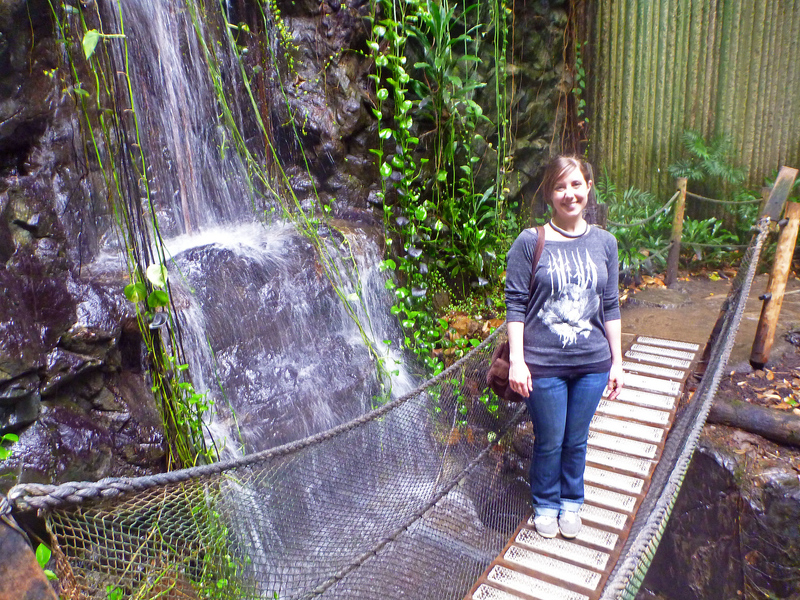 The Rainforest was very cool. 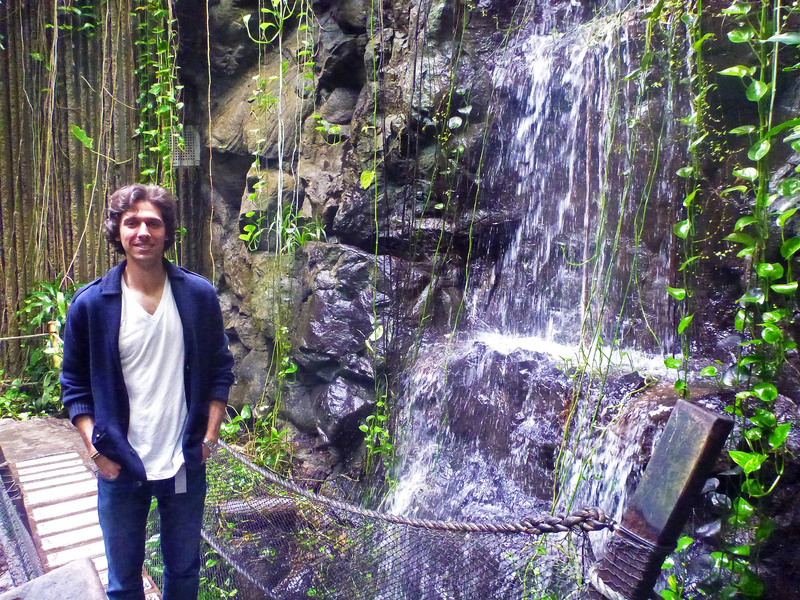 It was so humid, and the climate felt exactly like an actual rainforest. Unfortunately, we didn’t get a chance to go inside the Planetarium for the show. That show coincided with the IMAX film that we wanted to see, “Flight of the Butterflies“. The movie was awesome. It showed the migratory patterns of the monarch butterfly, and the methods in which researchers were able to track their flight paths. Some of the imagery of the butterflies was breathtaking. I highly recommend seeing this movie if you get the chance. 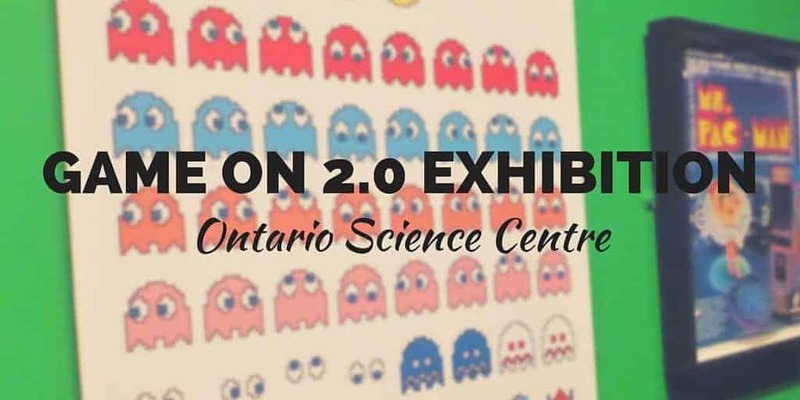 Check out our entire travel photo album of the Game 2.0 Exhibit at the Ontario Science Centre. I’m sure we will be back to the Science Centre at some point to check out the Planetarium and see another IMAX movie as there are always quite a few different ones playing. These nature films are amazing to see on the huge screen. Just went there this week. I knew a guy online who loves Umihara Kawase in a hipster kind of sense (has his avatar as Umihara claiming he’ll keep using Umihara until it becomes mainstream) so when I took pictures of it, he was estatic there was a Umihara “in the wild” and learning someone at the Science Centre thought it was worth being on display FOR SCIENCE! Just proceeded to go there this particular week. I believed someone on-line which likes Umihara Kawase inside a hipster style of sense (has his or her avatar as Umihara professing he’ll retain applying Umihara until finally that will become mainstream) so when I required photos than it, he has been estatic there seemed to be a new Umihara “in your wild” as well as mastering someone on the Scientific discipline Centre thought it turned out worthy of being on exhibit FOR SCIENTIFIC DISCIPLINE!